Terrilee was very easy to deal with, down-to-earth, honest and professional throughout the sale of my house in Worongary. Terrilee achieved a very good price for my house without any fuss, the communication was very good throughout the process, and she listened to my needs and made the entire deal a low stress affair. I would recommended her without hesitation, and believe that her boutique agency delivers a better service and a superior customer experience to dealing with the big franchise chains. After becoming frustrated with hotshot agents promising the world and failing to deliver we really wanted an agent we could trust and one who would work with us consistently and persistently until we achieved a sale. We wanted an agent who truly understood luxury hinterland properties, the perks of our particular hinterland location and someone who could see all the things that make our home the special place it is. Importantly that someone needed to have the confidence and experience to communicate these aspects to prospective buyers. That’s when we finally contacted Terrilee who had recently sold a house for a couple we knew. Having such a long and extensive history with prestige houses in our local area we felt confident that Terrilee was the right person for the job. Our only regret is not having contacted her sooner! Throughout the time our home was listed for sale with Terrilee we found Terrilee and her staff to be organised, attentive, motivated, obliging and very reliable. Terrilee consistently followed up with us to provide feedback, offer suggestions, answer questions and generally help us through the highs and lows of selling our long lived in family home. She listened to and acted on our suggestions and we never once felt like we were forgotten about or less important than her other listings. In fact, Terrilee made us feel like our sale was her only sale and was just as important to her as it was to us, her dedication is admirable. You do only get to sell your home once and rather than get off to a false start like we did we highly recommend Terrilee as being the right agent for the job. Thank you Terrilee and to all the staff at Terrilee Whitsed Boutique Realty. Bill and I would like to thank you again in helping us succeed in a achieving a perfect result by attaining a price above our expectations for our home. You are to be commended on your professionalism throughout the marketing campaign, communicating with us and providing feedback each week which gave us an indication of price bracket that our home falls in. You also created a lot of interest in your marketing skills which gave us plenty of potential buyers looking through the home at one time. From the time we prepared for marketing the home to signing the contract of sale you were there to help us along the way, we are extremely grateful and would not hesitate in highly recommending you and your agency to our friends, neighbours and colleagues. Thank you again for your assistance during this very stressful time. 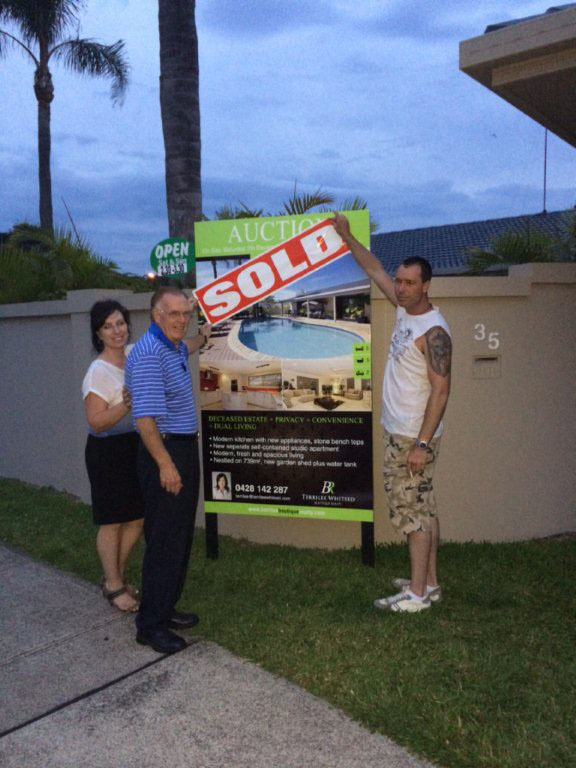 We would like to thank you for your professionalism, motivation and dedication in selling our property. 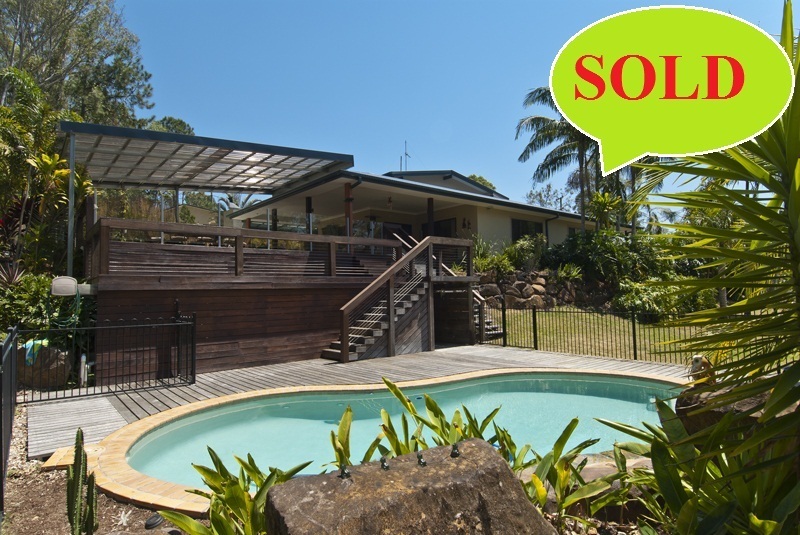 Your knowledge and experience of dealing with the Gold Coast prestige acreage market is second to none. You put us in the best position to sell our home for the desired price and within the required timeframe and we are very happy with the outcome. We have also gained a good friend in the process. Many thanks and best wishes for the future..
Scott and I would like to thank you and your team for helping us through the sale of our first home. From the day we met you we knew we were in safe hands. We would like to commend you and your team on your professionalism in marketing our property. We got the best result in the sale of our home and there is no doubt we would not have got the price we did if we went with another agent. We wish you and your team all the best and will be in touch when it comes time to sell again! 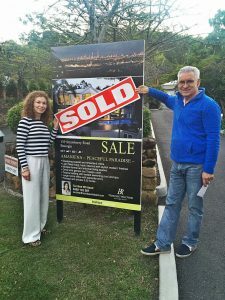 Having had our home on the market for nearly 11 weeks without success, and having noticed Terrilee had made a quick sale on a home in a nearby suburb, we gave her a call to see if she could help us. Not only was she around to see us that very same day but she proceeded to give us some great ideas to present our home differently and ending our meeting declaring she wanted our listing. That was on a Thursday and on the following Tuesday she had our listing. 2 days later she bought 3 groups through our home and the very first couple that saw the home have ended up buying it. We can’t say enough about the service we have and continue to receive from Terrilee and Tamara. They were helpful with presentation ideas for our home as well as using an excellent photographer to take some great shots of our home and the view to the coast. They also produced a professional brochure, including floor plan that was way above anything we had seen. But over and above all of this, they stayed in constant touch with us. Following up every lead and reporting back to us on a daily basis. Their customer service cannot be beaten. Not only do we know them as agents but we consider them as friends. Nothing was ever too much trouble for them. 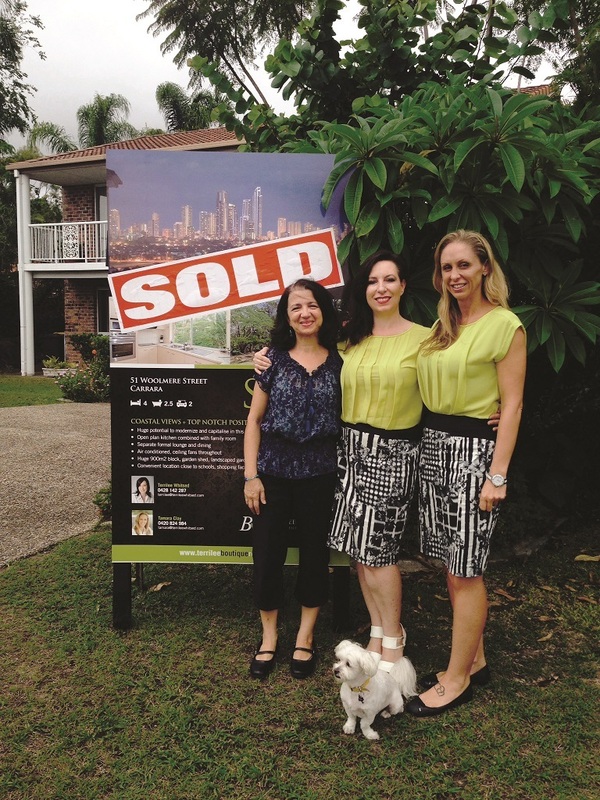 It’s no coincidence that our home has now sold within the first 2 weeks of enlisting Terrilee and Tamara. We cannot thank them enough and anyone considering selling should make a call to Terrilee Whitsed Boutique Realty their first call. You WILL NOT be disappointed!! I have worked with a number of real estate agents over the years, but I say without hesitation that Terrilee Whitsed of Boutique Realty is a true professional at the top of her game and an agent that always has her client’s best interests in mind. 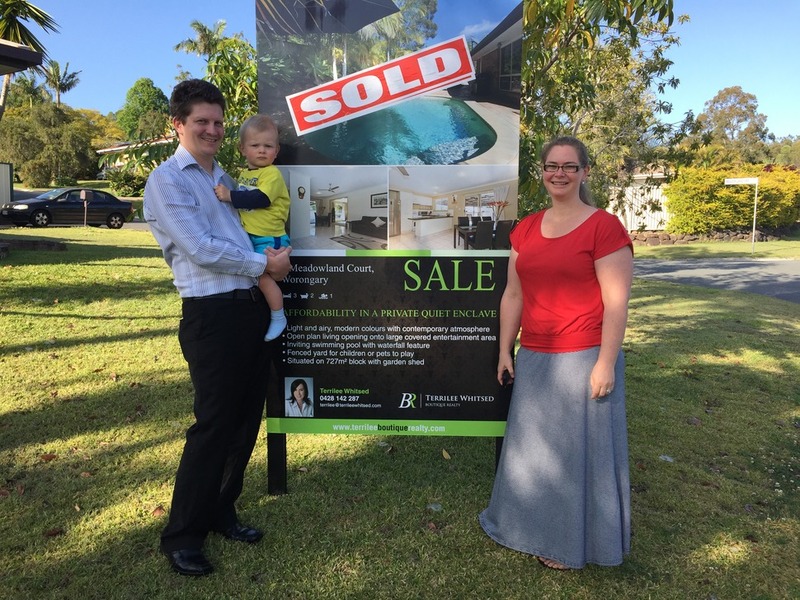 From the day that I signed the listing agreement, Terrilee moved mountains to get the house photo’s, signage, and internet advertising organised. 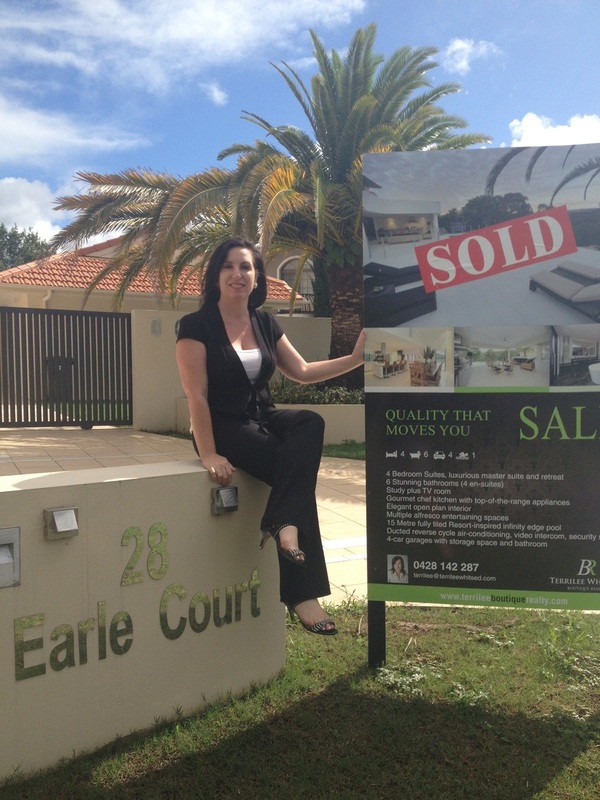 Recently I sold a property in 16 Viscount Drive Tallai employing Terrilee Boutique Realty as my agent. We made a great choice in real estate agent when we chose Terrilee Whitsed as she always made an effort to communicate and gave us plenty of notice when potential vendors were coming to inspect our house. After each inspection we received feedback which to us was vital as it “kept us in the loop” and not wondering about outcomes. Clearly your advice about price and presentation were spot on and I feel sure that in conjunction with your efforts this is why the house sold so quickly. Even after the contracts had been signed Terrilee was still helpful and kept us up to date with the progress of the sale. So once again, thank you for your assistance and I would have no hesitation in recommending your agency to friends and colleagues. Both my wife and I are extremely grateful to her as it has resulted in a satisfactory outcome and has made the whole process as stress free as the trauma of selling y ur home can be. 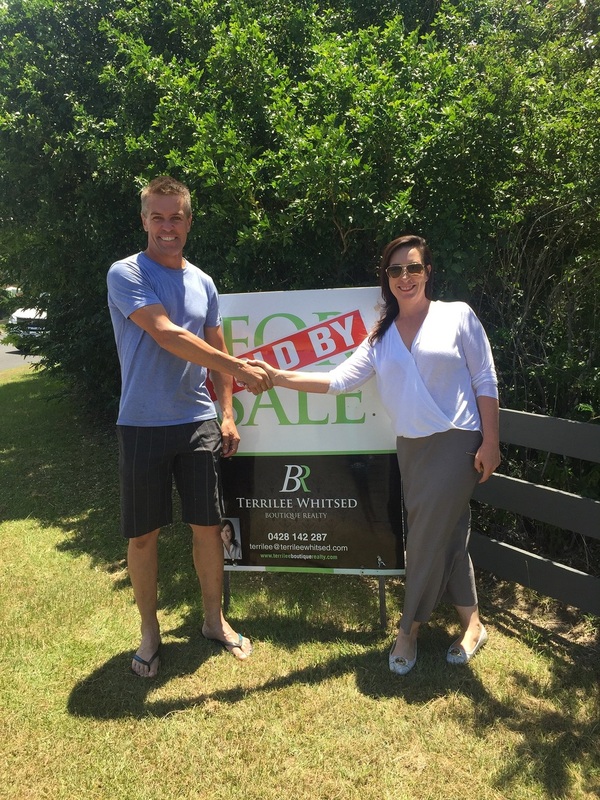 Terrilee Whitsed recently sold our hinterland acreage property in Tallai. Terrilee is hard working, efficient and very committed and dedicated to her job. Nothing is too much trouble for Terrilee. We found her honest, reliable and genuine. We wish her well with her future real estate career. With us now living interstate and after a disappointing rental experience that left us with lost rent and property damage, we decided to sell. It was a stressful and emotional time. We had appraisals done by a couple of agents, one being Terrilee. Though Terrilee came highly recommended, our initial thoughts were to list with the larger firm for all the obvious reasons. However after an informal meeting/coffee with Terrilee we were left with no doubt as to who to choose. Terrilee was able to empathise with our situation and advise us on our options. We left that meeting confident, reassured and with a plan. Terrilee was in regular contact in the busy weeks prior to going to market, offering assistance, trade contacts and advice. It was a new experience to be involved with an agent that offered this level of service. We really were a team! Terrilee kept us sane and focussed during an extremely stressful and exhausting time. Thanks and gratitude Terrilee, for your dedication, hard work, and friendship. Thanks also to your personal assistant, Jenny. You are to be commended on the professionalism and speed at which you handled our sale, it became obvious from your initial visit to our home, less than half an hour from when we approached your company to list our property, that you had our interest at heart, and have genuine passion for your occupation. We met Terrilee 15 years ago when we first moved to the Gold Coast from Canberra. I could tell that not only was she extremely nice, professional and a pleasure to work with but she was the only Real Estate agent that we had met that immediately knew exactly the type of home we were looking for and didn’t waste our time showing us properties we didn’t like. The 2008 global financial crisis hit everyone hard including ourselves so we recently decided to sell our home and once again Terrilee was the first person I called. Not only did Terrilee sell our home quickly but she sold it two days after our initial meeting to the first couple that walked through the door, we didn’t even have time to put her sign up on the front lawn! Not only was this a very pleasing outcome for us but she also successfully negotiated with the buyer to obtain our asking price. We were thrilled!! I fully recommend Terrilee’s services to anyone looking to buy or sell a property. She has a knack for quickly understanding people’s needs and wants and works extremely hard to achieve a win-win for all concerned. 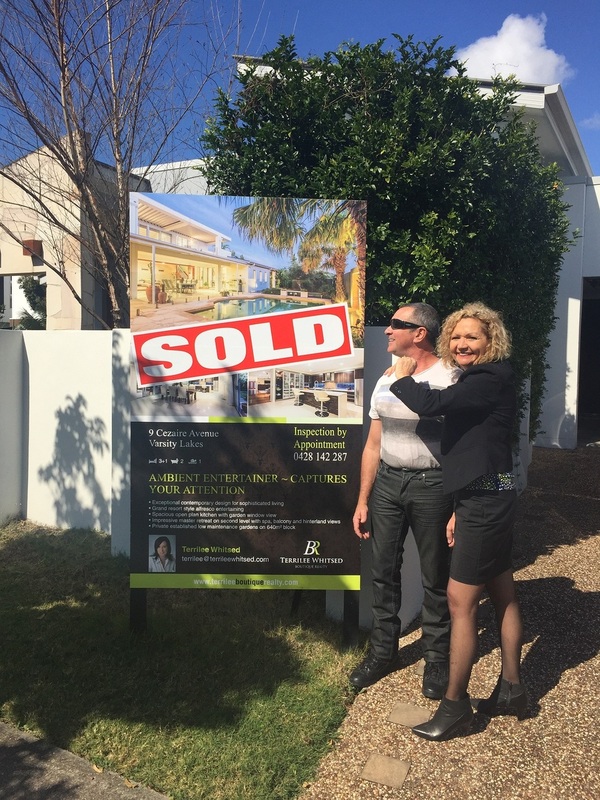 Thank you Terrilee for everything you have done for us over the years, not only have you become the only Real Estate agent we will ever use on the Gold Coast but you have also become our friend. 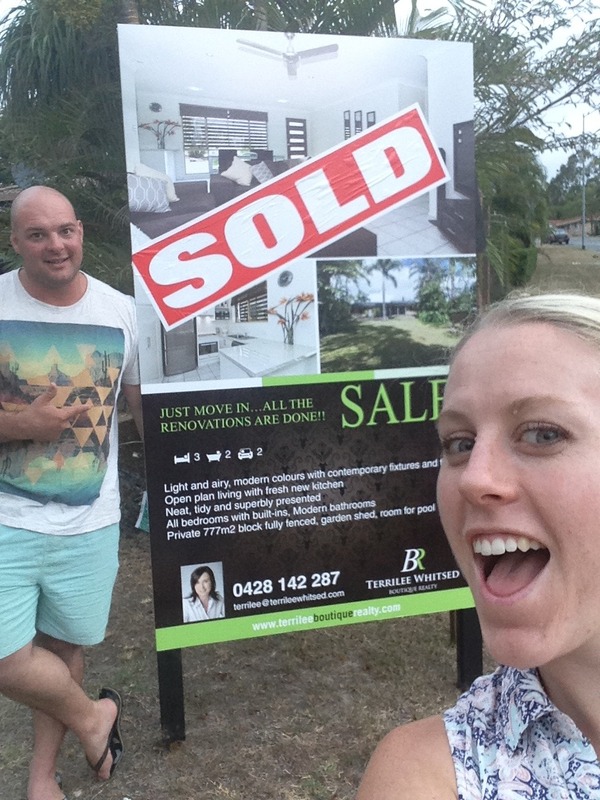 “As first home buyers we didn’t really know what to expect, but we found Terrilee to be very helpful, professional and an absolute joy to work with.